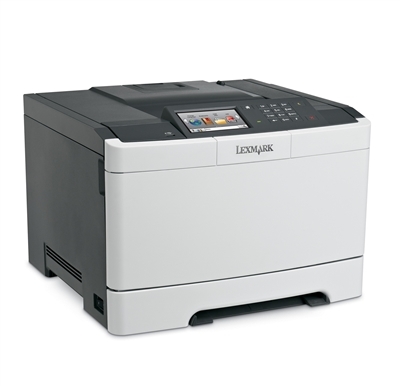 The solutions-capable Lexmark CS510de network-ready color laser printer with 2-sided printing standard, a 800 MHz dual-core processor and large capacity of standard memory prints at up to 32 ppm black and color. Paper Weight Range Supported - Standard Tray (lb.) 16 - 47 lb.